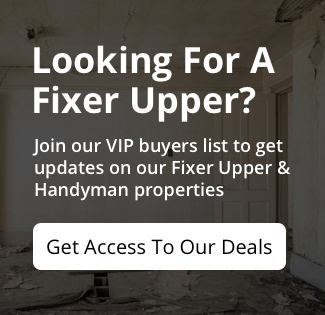 How the properties are made available at incredibly discounted prices on this website? Why you are not retaining the best arrangements for your own company? Is there any difference in the properties that are displayed on Peak Housing Group site and the ones that are shown on the Multiple Listing Services (MLS)? I would like to opt for bank financing. Can I do it? If I am interested about a particular property, how do I go about for procuring it? What is the frequency of your addition of new properties to your list on your website and the list of your Preferred Buyers? Are you charging anything for purchasing or selling any property? Q: How the properties are made available at incredibly discounted prices on this website? Why you are not retaining the best arrangements for your own company? A: It is true that ate rates at which the properties are offered on this website are significantly lower than those that are offered by other real estate company dealers in this region. We have an expert marketing team that has developed its processes on acquiring properties at incredibly low prices. We often purchase foreclosure properties at low prices and also provide fast cash to the sellers. This discount in turn is passed on to the customers. Q: Is there any difference in the properties that are displayed on Peak Housing Group site and the ones that are shown on the Multiple Listing Services (MLS)? A: Yes, there are significant differences between the properties shown on our site and those shown on the MLS. These cannot be found in the MLS which is put up by the property brokers. We get in touch with the property owners directly and help them with required solutions for selling. This works out to be lower priced than the ones put up on the Multiple Listing Services. Q: I would like to opt for bank financing. Can I do it? Q: How often do you add new investment properties in Winchester to the site and VIP Buyers List? A: We are constantly acquiring new properties and adding to our inventory. We update our website list continually. Our properties do not stay, so we advise you to check regularly..
Q: Are you charging anything for purchasing or selling any property? A: Home owners interested in selling their property need not pay anything. We buy at rates which are mutually beneficial. If you purchase a property from our Peak Housing, we charge only for the acquisition process and services. This only the earning we make from our activities. You get these properties at rock bottom prices.